My fellow Labour councillors and I called this vote after it emerged that many of Hammersmith and Fulham’s senior Conservative councillors had been wined and dined by many of the Borough’s most active property developers who are behind some of the most controversial local schemes. No notes, minutes or records are kept of the conversations or agreements made during these and many other private meetings that take place many months and sometimes years before a planning application is even made available for public consultation. Ask any local resident who has tried to engage with H&F Council on any major planning application how they feel? Ask them after they have spent weeks, working with their neighbours, giving up their free time and resources in the hope that the process might be genuine and they will actually be listened to. You get remarkably similar answers. I can't think of any such instance where people haven't come away angry, frustrated and with a very clear view that "it was always a done deal" which they had no chance of really changing. So it hardly does much to restore faith in public life to discover that H&F's Conservative councillors have enjoyed lavish free lunches and free dinners, free trips to the Proms, free trips to polo events, free trips to watch cricket at Lords, free trips to tennis tournaments and more - all at the expense of developers or their lobbyists behind many of the most contentious schemes. And these property schemes share more than just the disappointment of residents who feel their neighbourhoods have been blighted. Planning guidelines are sidestepped, a dubious planning mechanism is always used to ensure obligations to build affordable housing "Londoners can afford" are dropped and developers are allowed to go for maximum profits: H&F Conservatives have now approved more homes for overseas investors than they have for local residents. Recently H&F Council officially acknowledged that it has lost the trust of the public over how it makes planning decisions when it interviewed for a senior planning official's role. I still have the presentations from those on the panel who were given the brief: "How they would rebuild the planning department’s reputation?" So it begs the question why H&F Conservatives voted to preserve all this unnecessary and distasteful hospitality? While what H&F Conservatives are doing is likely to be lawful it is, at the very least, extremely poor judgement. You can follow the link starting here for the “gifts and hospitality register” for each of the 46 Borough local elected representatives for this and previous years. You will need to click on the councillor you want to find out about and then click on their "gifts and hospitality" link. Speaking in the Fulham and Hammersmith Chronicle Cllr. Mark Loveday (Con) explained how he thinks it's "scurrilous" that the Borough's Labour Opposition has even raised this as it is simply a "smear campaign". Er... No it's not. The only reason this is still a news story is because Cllr. Loveday and his colleagues voted down our call to put a halt to this "hospitality" and the secret meetings. If the Borough's 31 Conservative councillors didn't like our wording they could have changed it by voting through an agreed amendment that we all could have signed up to - as has happened on different issues many times in the past. But they didn't do that. Cllr. Loveday will recall this incident which first demonstrated the vast number of secret meetings enjoyed by an active property developer before a controversial scheme even began the formal planning process. It has become indicative of how almost every large scheme has been dealt with by H&F Council since. Indeed, around that time Cllr. 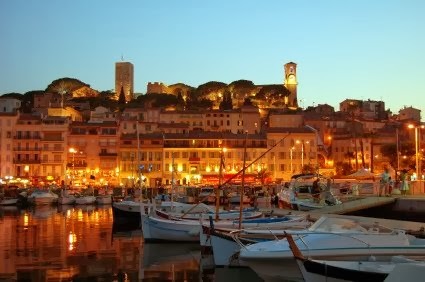 Loveday famously flew to Cannes on the French Riviera with the sole purpose of having secret meetings with many property developers about what H&F Council admitted was the Borough's most "contentious sites". My Labour colleagues and I sometimes meet with property developers but those recorded meetings are always on behalf of our constituents to raises concerns about developments our constituents have asked us to raise often with our constituents also attending and only ever after the planning process has started. That's what we're meant to do and it's nothing like what the Conservative Administration are doing. None of H&F Labour's 2014 councillor candidates have accepted any such hospitality and neither will they. The current approach to planning needs to change. 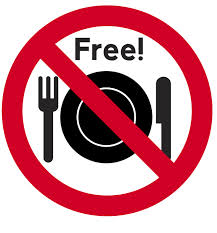 Who believes there is such a thing as a free lunch - let alone a free slap-up dinner at a glamorous event? All this free hospitality needs to stop. Records of all the Administration's meetings need to be made and then published and the planning process needs to be cleaned up with the public given access to much greater levels of information and new powers to call-in developments once discussions have started with the council. That's pretty much a summary of the pledge we will detail in our Borough manifesto and what I will ensure the new Administration does should I find myself leader of H&F Council after the May 22nd elections.